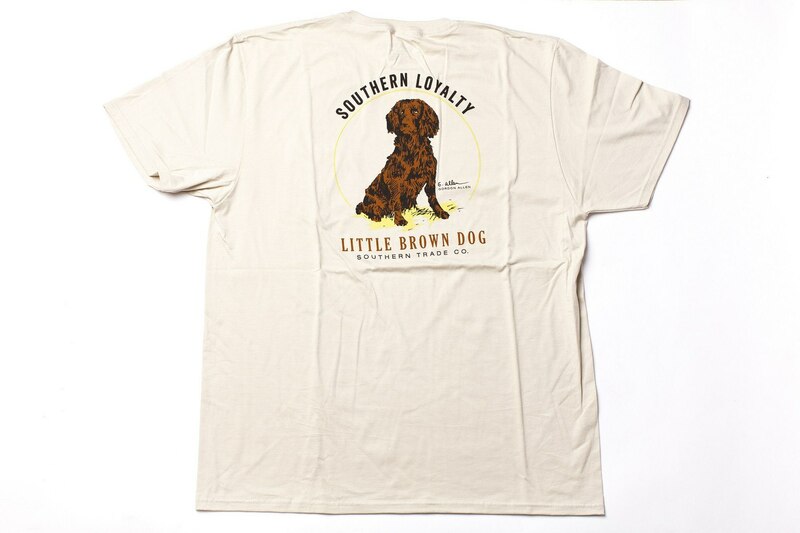 Today’s Fashion Feature is on an adorable t-shirt company called The Little Brown Dog Southern Trade Company. I contacted them a few weeks ago, telling them how much I loved their shirts, and that I wanted to show off their clothes in a post! They responded a day or two later, saying that they would be happy to let me promote them. I was super excited to hear back from them, it made my Monday! After waiting and waiting, (just kidding I only waited three days), I got my shirt in the mail. I was so happy when I came home from school and found a package from them waiting for me! I took the package to the living room to open it, my two little brothers trailing behind me, eager to see what I got. They always like seeing what I get in the mail, so they were sitting right beside me to watch me open it! Inside was a soft, brown shirt and an adorable circle logo sticker! The shirt is from their Gordon Allen series, and it is probably the softest t-shirt I own! I love wearing it with leggings for a comfy casual look. I really love the sticker, it’s perfect to stick on your laptop, water bottle, or notebooks. I was really excited about it, so I wore the shirt the next day to school. I paired it with leggings and my Nike Roshe Runs. 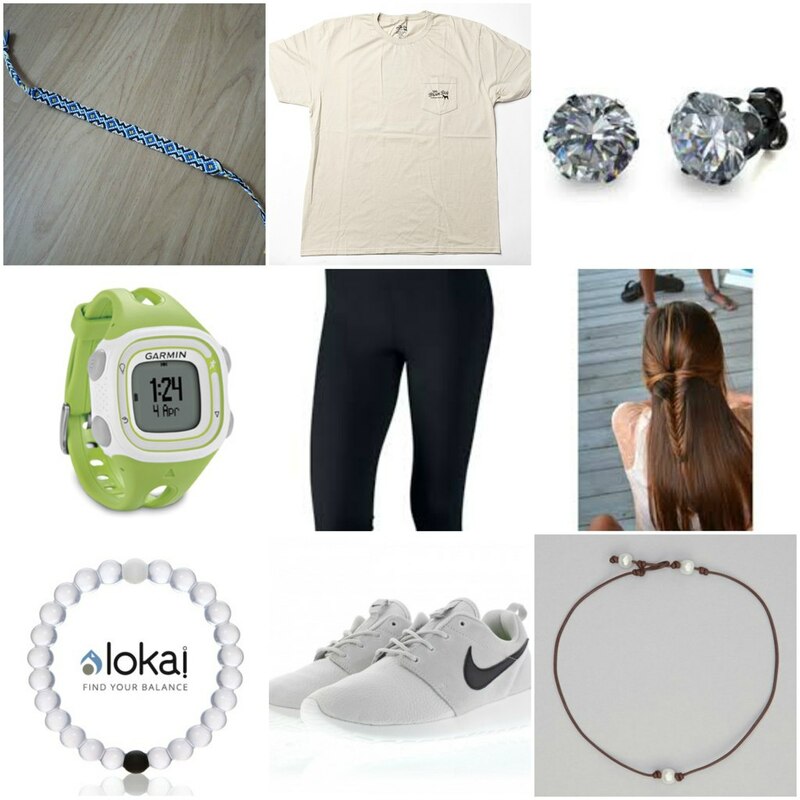 For the accessories, I wore a leather and pearl necklace, jeweled earrings, my Garmin watch, my Lokai bracelet, and a friendship bracelet. I wore my hair down with pieces of hair from each of the sides crossed over at the back and braided. I received a lot of compliments while wearing this shirt. So many people said they liked it. A few of my friends even asked where I got it, and said they wanted to get one! I was happy to introduce this wonderful company to them! 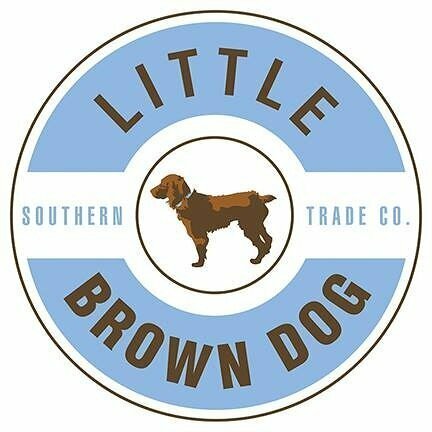 The Little Brown Dog Southern Trade Co was founded from an old tradition. The owners, Will and Ashley Batson, started making shirts to celebrate the traditional New Years Eve party they hosted every year. When someone asked about buying more of the shirts for other events, the Little Brown Dog Southern Trade Company was established. The dog on the logo is Scarlett, the Batson’s dog. Scarlett is a Boykin spaniel and loves being the center of attention. It only seemed right that she should be the face of this new company. Now, The Little Brown Dog company has grown into a full time business. 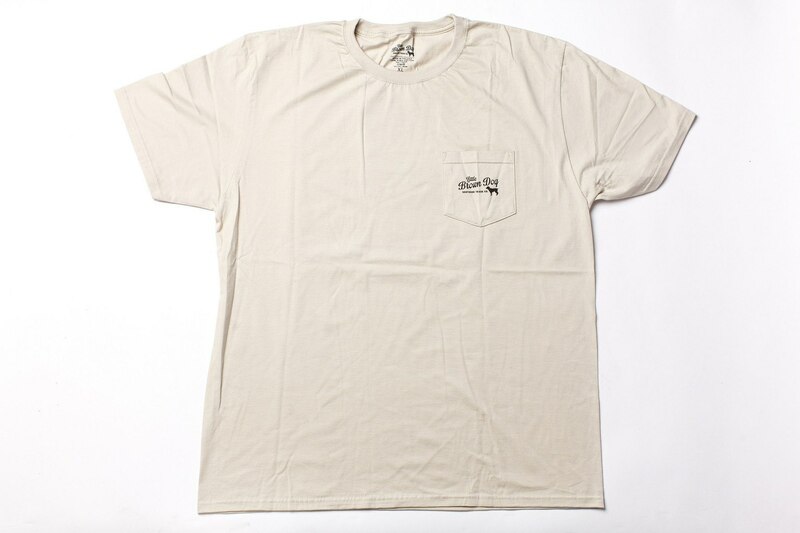 All of their apparel is made with cotton grown in Texas, is loomed in Alabama, is dyed in Tennessee, and cut, sewn, and screen printed in south Carolina. All in all, you end up with a shirt that is truly southern. This company takes pride in having the softest, highest quality material that celebrates the best of the South. Definitely check out The Little Brown Dog Southern Trade Co today! You just can’t resist their adorable shirts and accessories! FTC: Thank you to The Little Brown Dog Southern Trade Company for sponsoring this post. Although I received the shirt for free in order to write the post, all opinions are solely my own. WOW! I am LOVING your new site! Please post more like this in the future! I love your website! It’s so cool!! !